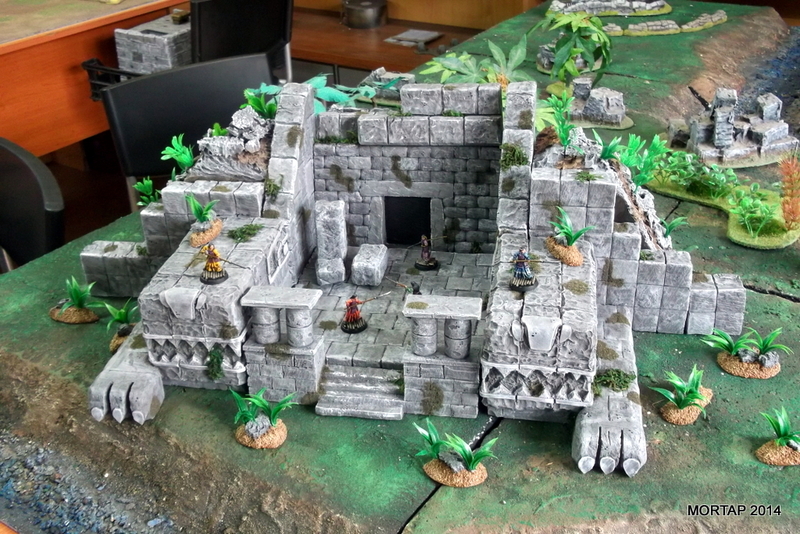 Finally, the second part of the fantastic scenery element, The Lost Temple, created by MorTap. 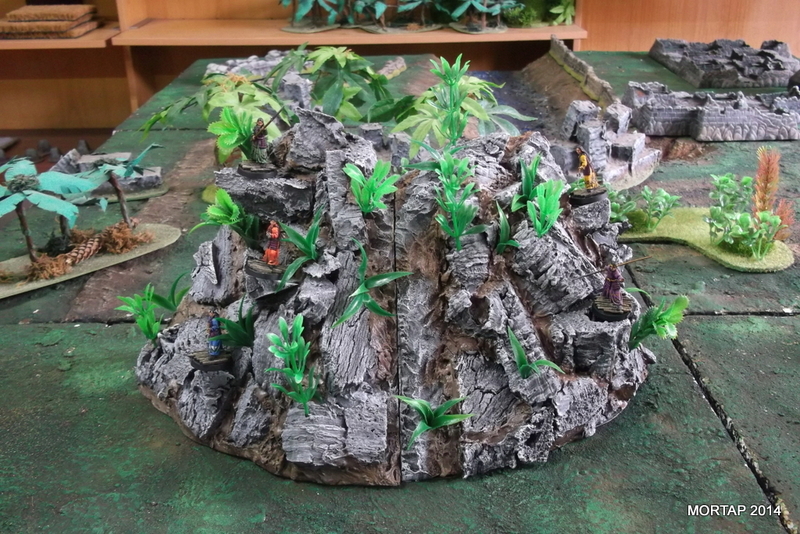 In this post you can find how to build mountains and the frontal part. You have to see it!. 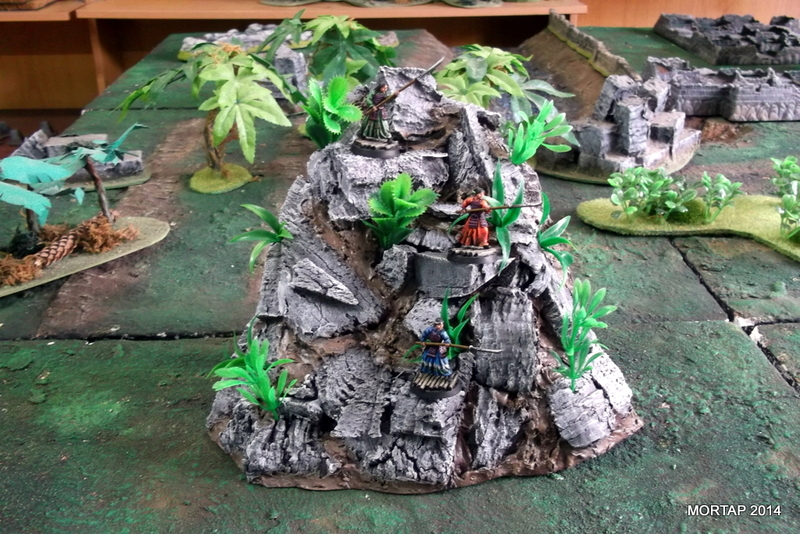 We’ll prepare two mountain elements to flank the temple. 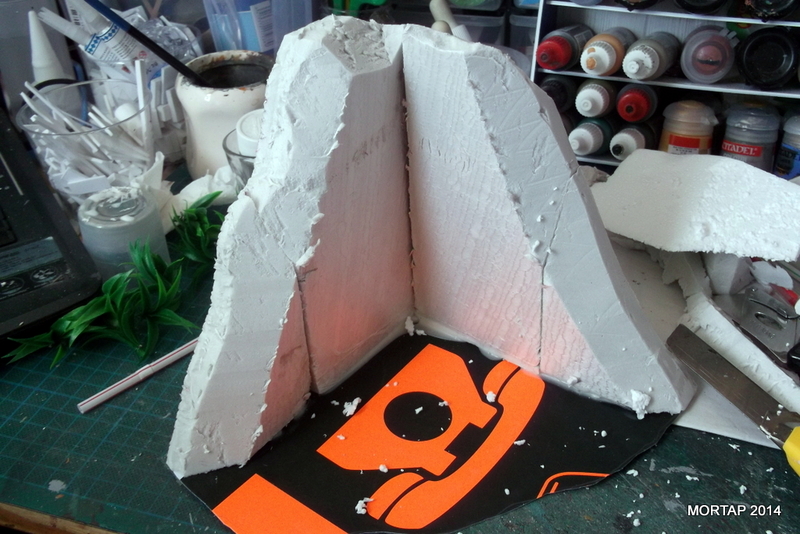 First, we prepare the structure of each mountain with two pieces with an L shape. 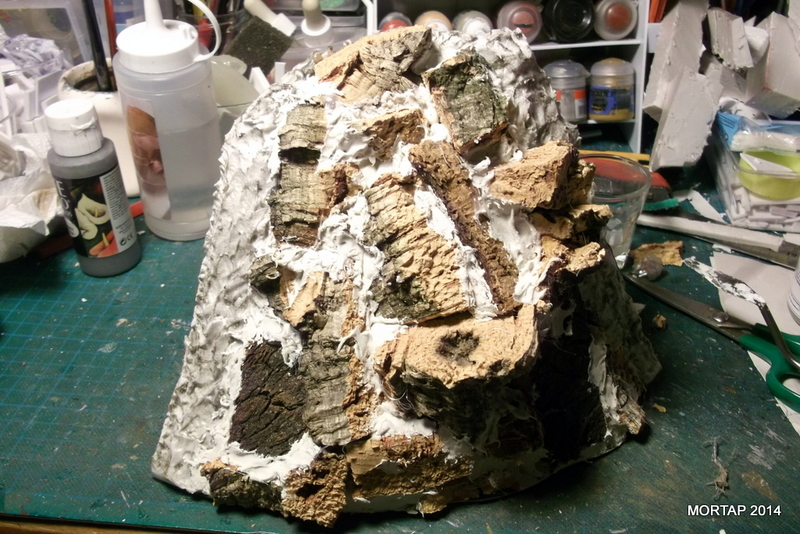 Then we fill the L with natural cork to create a rock aspect. 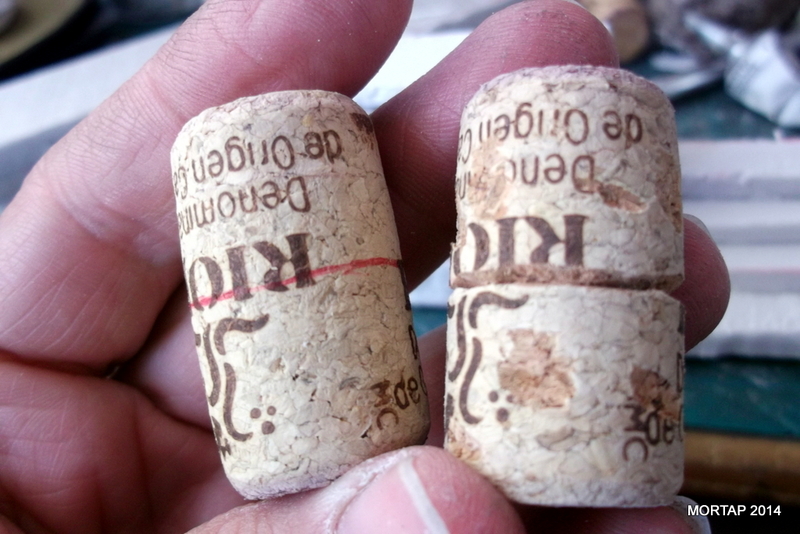 We use white glue to easily fix the cork. We fill the spaces between corks with filler and we create additional textures. 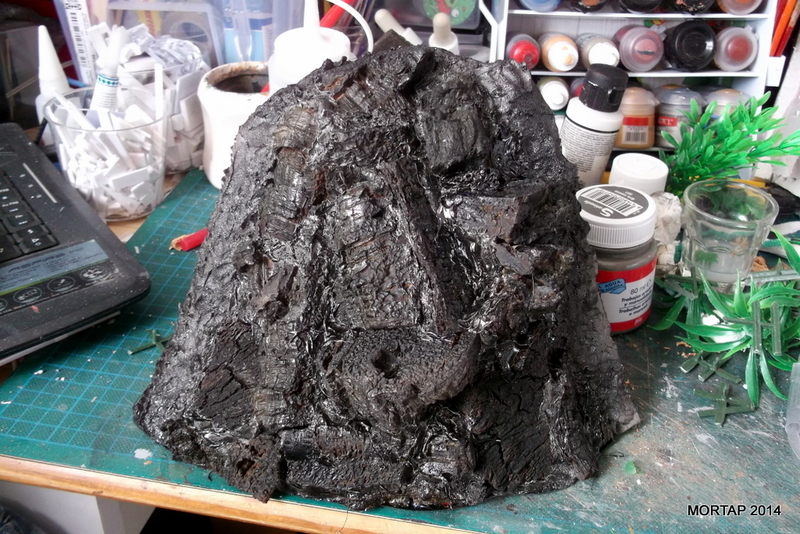 Once it’s dried, we prime the element with black, for example. 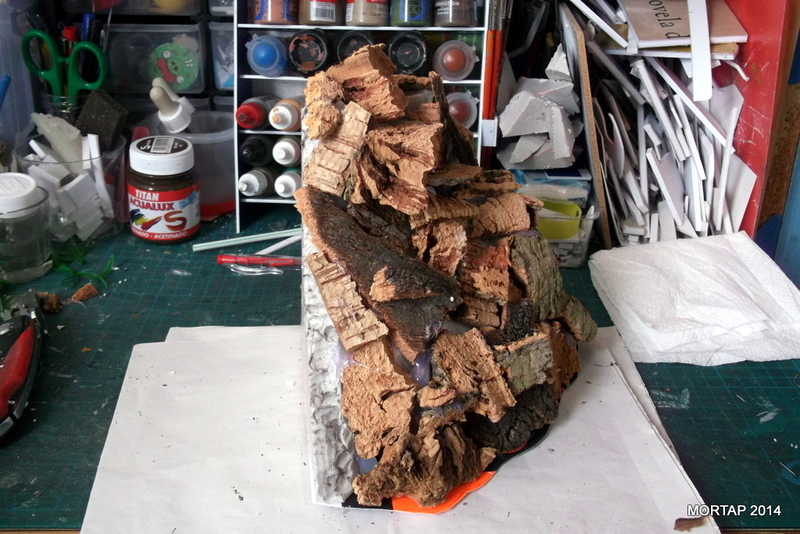 Then we paint the full element in grey and brown colors using the dry-brush technique. Finally, we use some plastic plants to give life to our model. And this is the the final result. As you can see, both elements fits perfectly one beside the other. We prepare the stairs in the middle of the wall. 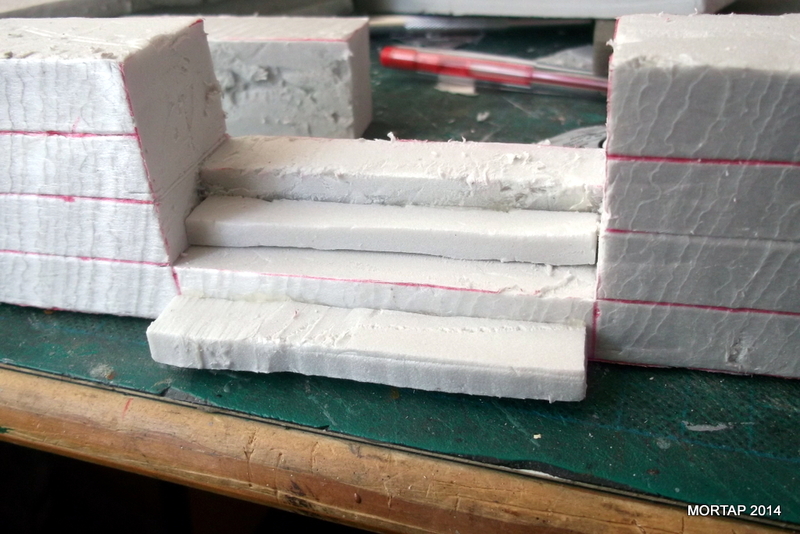 We can also sculpt some bricks. With the remaining pieces we can prepare the stairs. 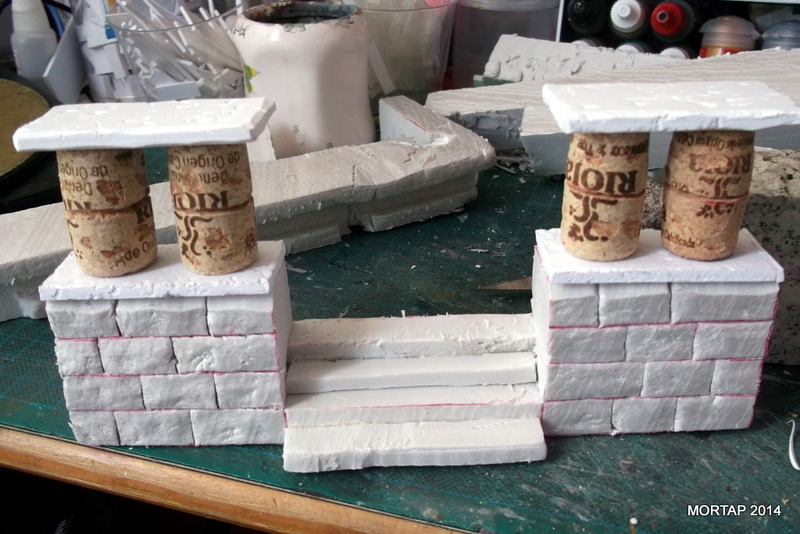 With the cork taps we prepare the columns by sculpting some details in the middle. Here you can see the whole complex once is finished.